I’m writing this in a rush, and I’ve just been drained a unit of blood by the NHS so forgive the lack of exquisite language, or even correct English in this post. 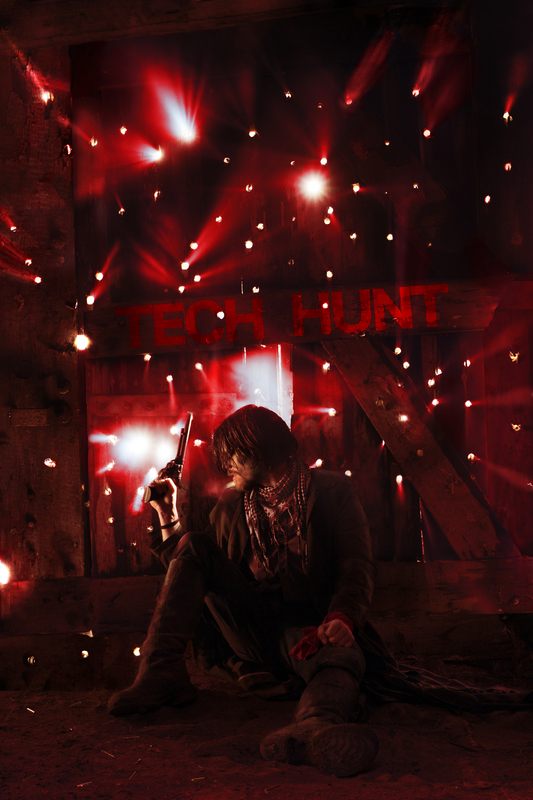 Some time ago, I worked on a film called Tech Hunt, directed by my good friend and director Chris Cronin. I’ve posted about this project before. One thing I haven’t talked about before however, is the poster for the film! We’ve been sitting on this for months waiting for the right time for people to see it, and I’ve been told that time is now! I will also be posting a behind the scenes article for this poster too, so keep an eye out for that over the next few days. So, without too much dozy rambling, here it is in it’s full resolution glory, ready for your eyes to be made happy. This entry was posted on November 13, 2013 by marchankins. It was filed under Filmmaking, Photography and was tagged with Chris Cronin, marketing, Movie, Photography, Poster, Tech Hunt.